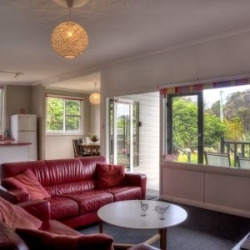 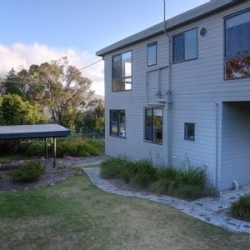 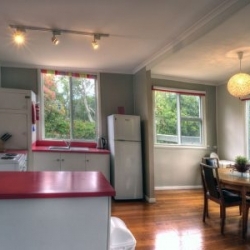 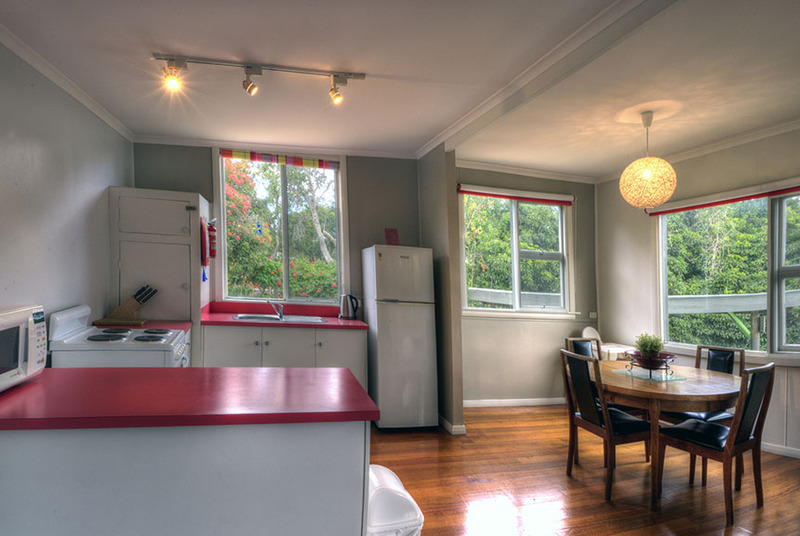 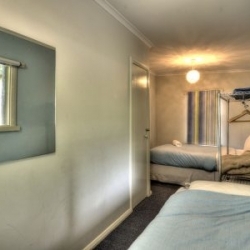 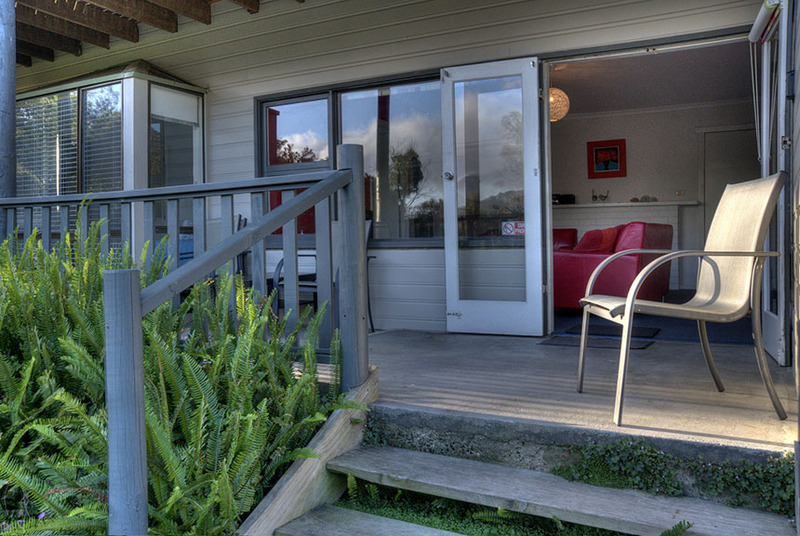 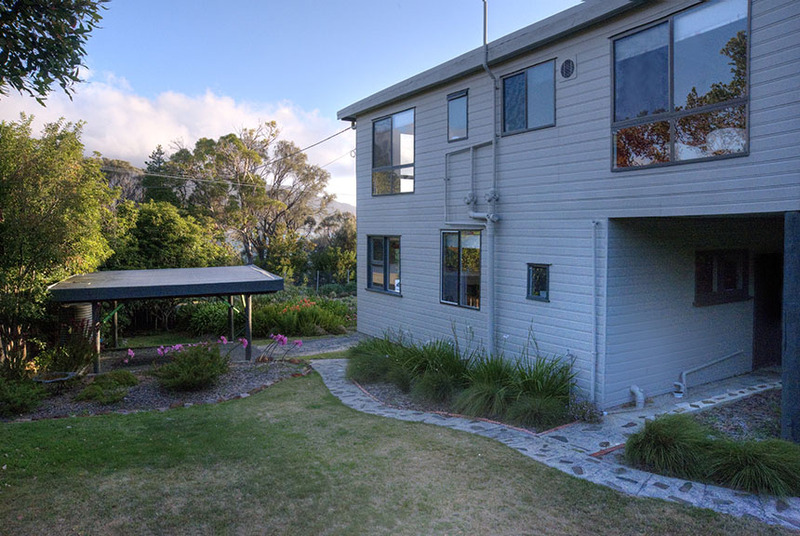 Located on the waterfront, in the heart of Coles Bay. 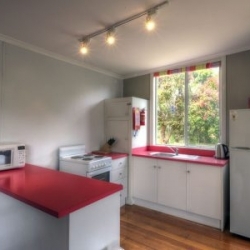 Apartment 1 occupies the entire ground floor of a private building of only 2 apartments. 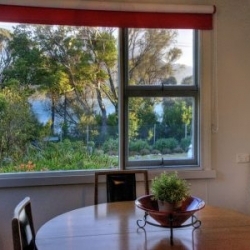 Cove Beach apartments offer fabulous water views across Coles Bay looking out toward the famous Hazards Mountains. 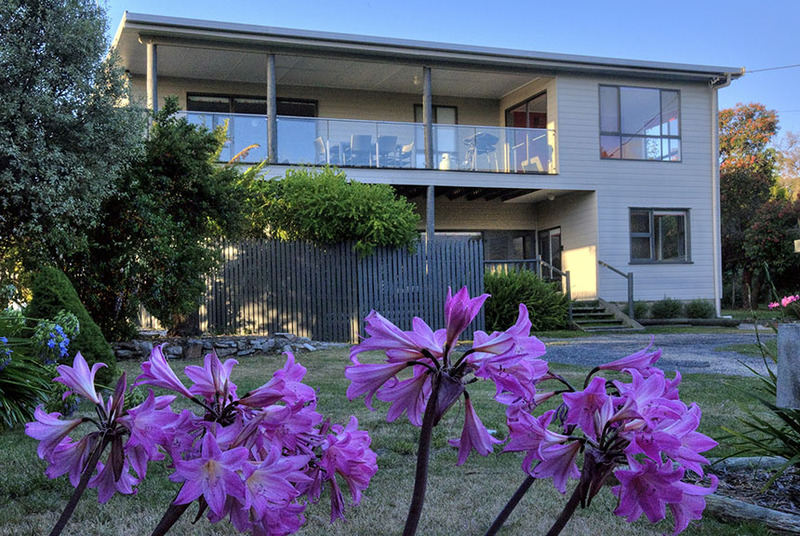 Close to secluded beaches, enjoy scenic walks, amazing sunsets and star gaze at night at the awe inspiring southern stars. 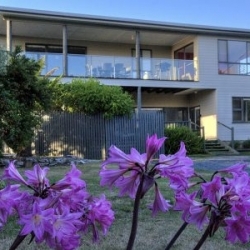 In addition it is a short stroll along the foreshore to shops and restaurants. 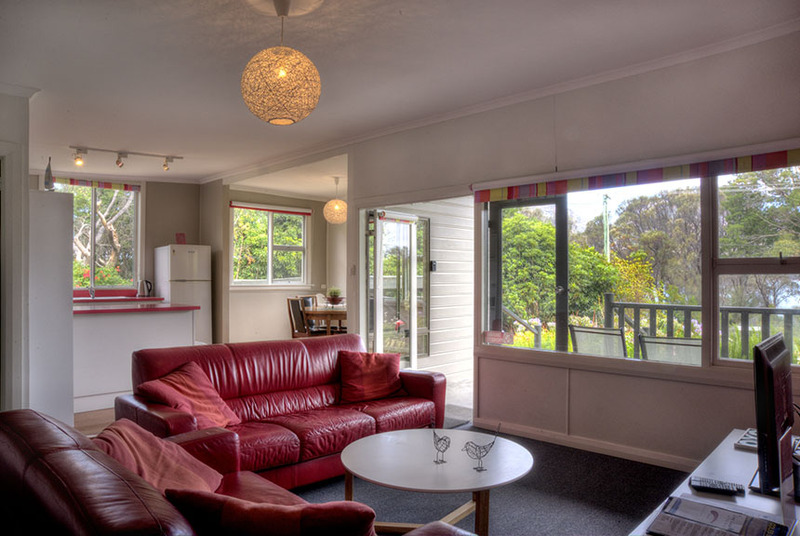 Cove Beach Apartment 1 is spacious and comfortable with two bedrooms and two bathrooms, set amongst extensive gardens. 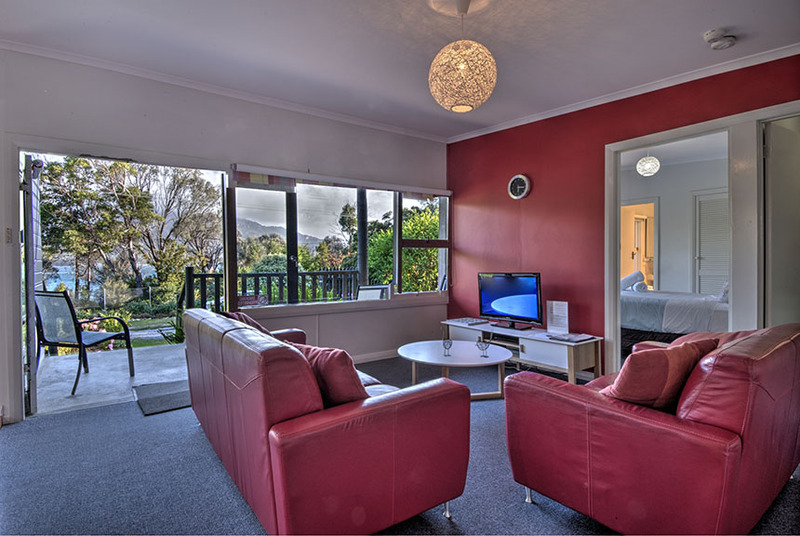 Recommended by Lonely Planet, the spacious apartments have been decorated in a casual beachy style. 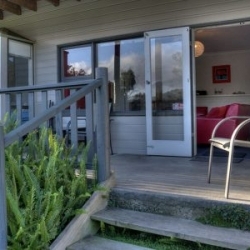 There is direct access to beautiful private beaches in front of the property. 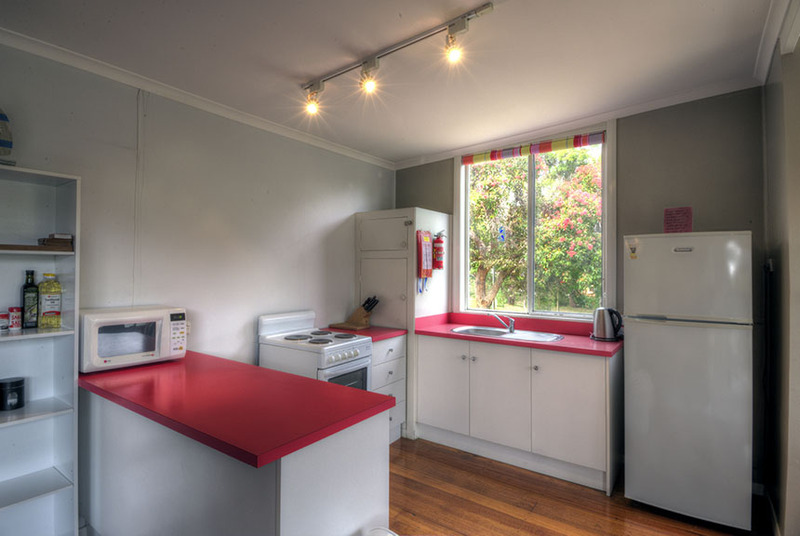 The kitchen is well equipped with everything you need while on your holiday. 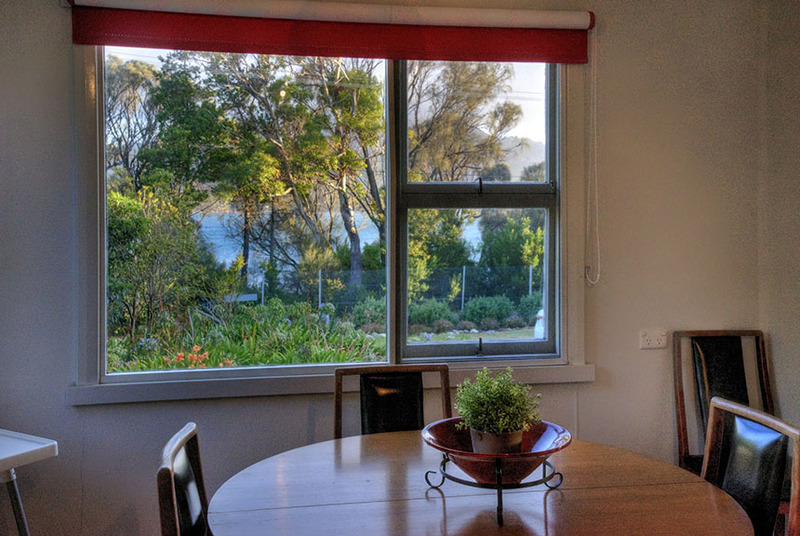 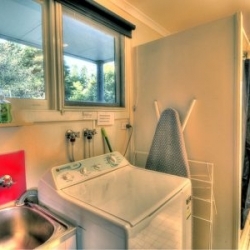 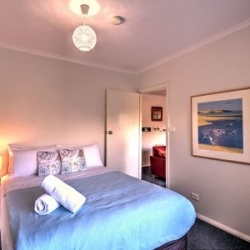 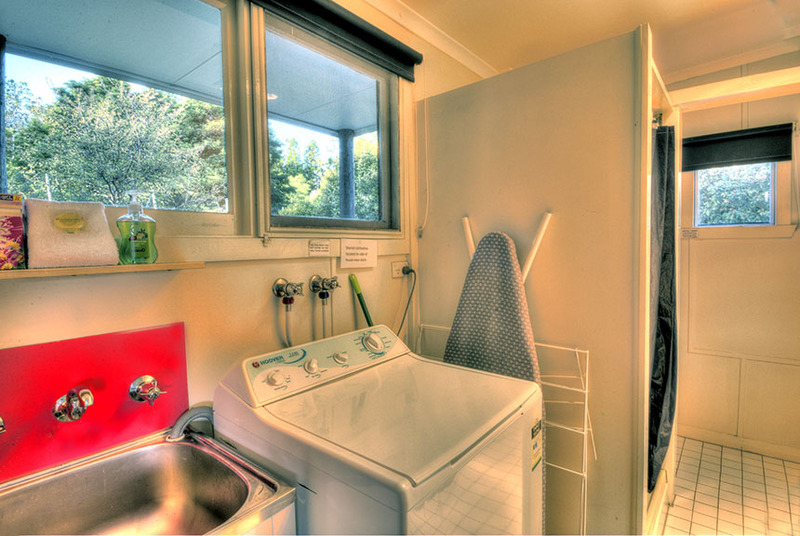 A private setting to completely relax and enjoy the many attractions in this little pocket of the Freycinet Peninsula. 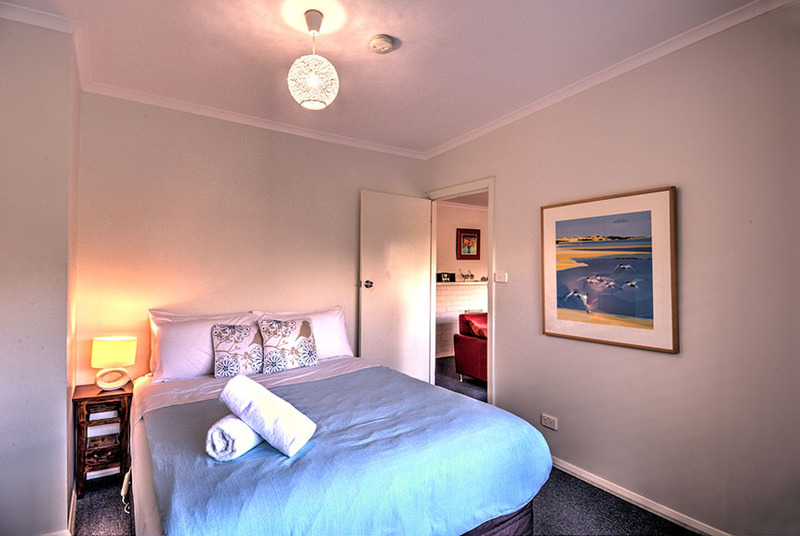 Comfortably sleeping up to 5 guests, this apartment is perfect for couples, families or friends. 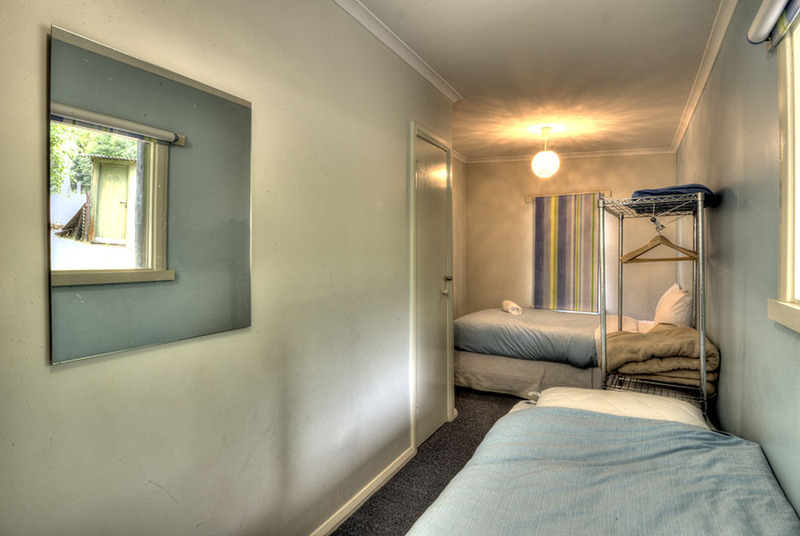 For larger groups you can also book the upstairs apartment which also comfortably sleeps another 5 guests.